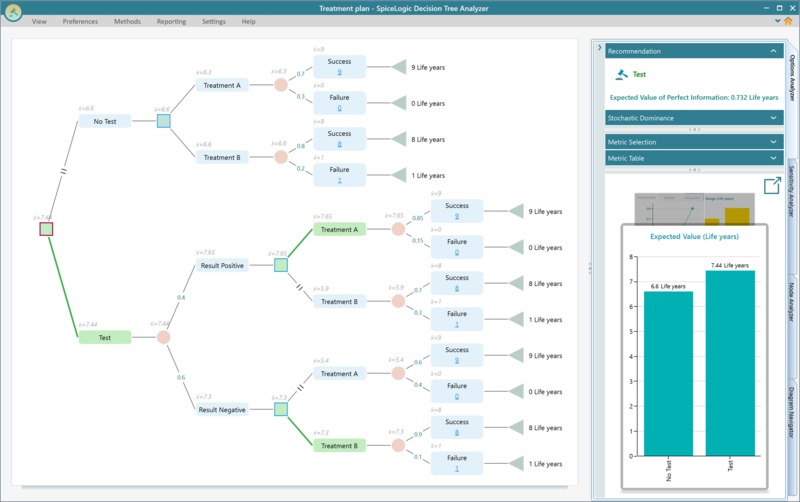 Based on your selected Decision Criterion, the SpiceLogic Decision Tree software will show you what action to take at what situation. 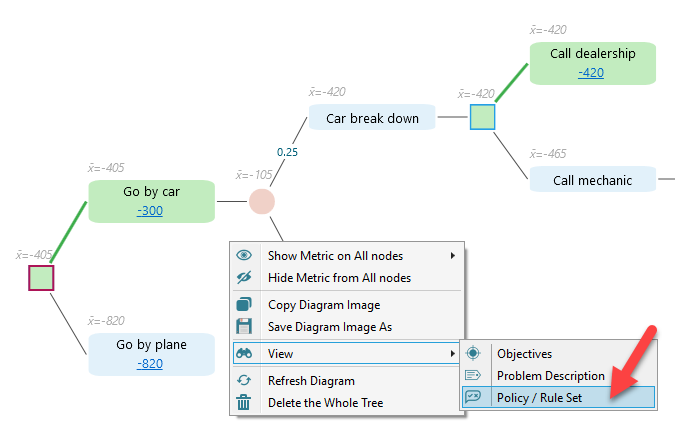 Once you model your decision tree and attach payoff values to the appropriate nodes, you will see that a green color edge indicates the strategy path as shown below. Not only that, the action nodes along the optimum paths are colored green as well as you can see from the above screenshot. Once you change your decision Criterion, the policy will be recalculated and updated in the diagram. For example, if you change the Decision Criterion from Maximize Expected Utility to Minimax Regret, you will see that the policy is updated and recommending to Call Mechanic when the car breaks down. 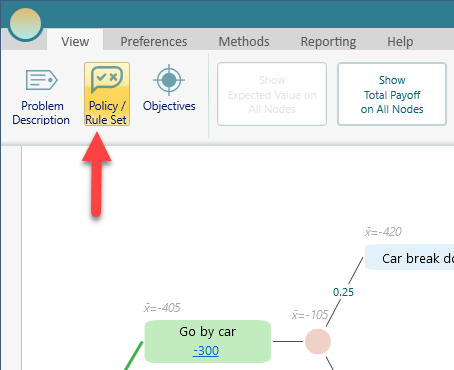 Once you click that option from the context menu, you will see the Policy Window as shown below. You can also invoke this window from the View menu of the Ribbon.